Vizio E43u-D2 vs M43-C1 Differences : Which of those Vizio’s Basic 43-Inch Smart 4K UHD TV should You Choose? 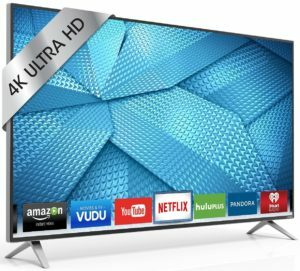 If you are interested to E43u-D2 and M43-C1 from Vizio, then I’m sure that you are looking for basic 43-Inch Smart 4K UHD TV for your next TV. They are indeed introduced from different lineup year, Vizio E43u-D2 is part of Vizio’s 2016 TV lineup, while Vizio M43-C1 is part of Vizio’s older 2015 TV lineup. You can find similarities and differences between those two TVs. I’m sure that you need to know their differences before you decide which of them is the one that you should bring home. Let’s take a look at the specs of Vizio E43u-D2 and M43-C1 using similarities & difference table format below before talk more about the key differences between those two TVs. The similarities and differences of Vizio E43u-D2 and M43-C1 can be found on the table above. I think you need to talk further about the differences of those two TVs. Let’s talk more about those differences together. The first difference of Vizio E43u-D2 and M43-C1 come from the Smart TV platform. 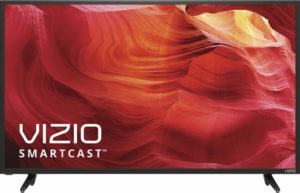 Vizio E43u-D2 comes with the new Vizio SmartCast, while Vizio M43-C1 comes with the older Vizio Internet Apps Plus as its Smart TV platform. 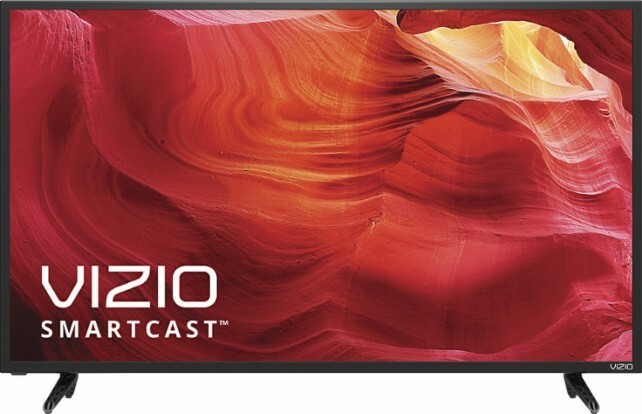 Vizio SmartCast is a little more advanced Smart TV platform that require you to have Smartphone or Tablet remote to operate the SmartCast Apps. But SmartCast allow you to run additional Smart Apps besides the ability to enjoy your favorite premium contents. Vizio Internet Apps Plus that used by M43-C1 is simpler Smart TV platform that easier to operate but It only allow you to enjoy more limited smart functions. The next difference of Vizio E43u-D2 and M43-C1 come from their picture technology. While Vizio E43u-D2 and M43-C1 are basically similar with Full-Array LED backlight, Active LED Zones and 120Hz effective refresh rate, but the number of Active LED Zones installed on those two TVs along with their Clear Action are a little different. Vizio E43u-D2 only comes with 10 Active LED Zones and Clear Action 240, while Vizio M43-C1 comes with 28 Active LED Zones and Clear Action 360. With more Active LED Zones and higher Clear Action, technically We can enjoy better vibrancy as well as smoother fast motion images with Vizio M43-C1 than what We can get with Vizio E43u-D2. There’s also small difference on the processor that powered those two TVs. Vizio E43u-D2 comes with V8 octa-core processor, while Vizio M43-C1 comes with V6 Six-Core processor. Actually We can’t find any significant difference between Octa-Core and Six-Core processor for our daily usage. We may feel the difference when We use the TV for heavier works such as using the TV as our gaming monitor. The number of HDMI/USB inputs attached on those two TVs is also different. Vizio E43u-D2 comes with 4 HDMI and 2 USB, while Vizio M43-C1 comes with 5 HDMI and only 1 USB input. With more USB inputs attached on it, you can connect more than 1 USB devices at the same time in Vizio E43u-D2. 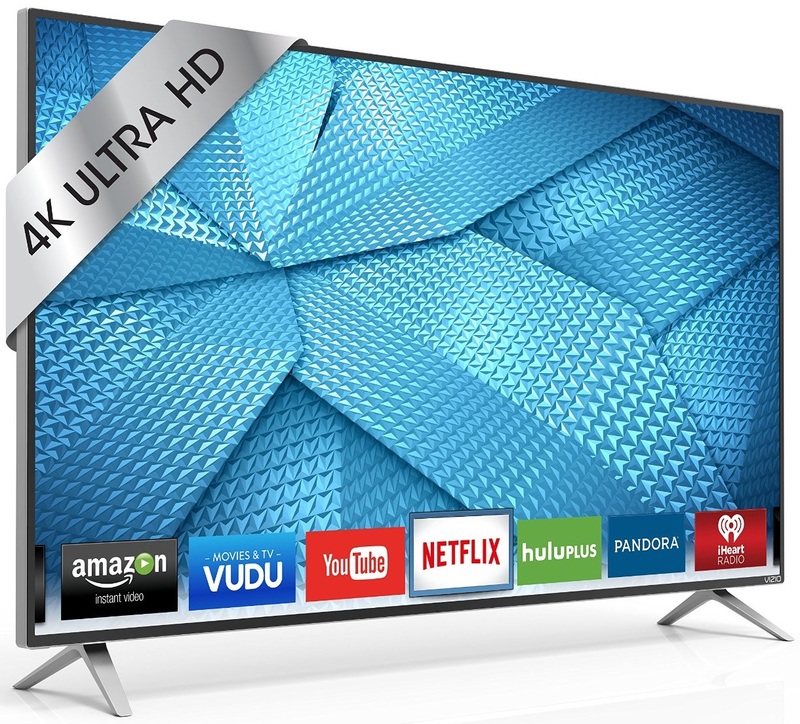 Which Vizio’s 43-Inch 4K UHD TV to Choose? TCL 43S405 vs 43S403 Differences : Are They Similar? TCL 43S405 vs 43S305 Review : What’s Better in 43S405 as the Higher Model?